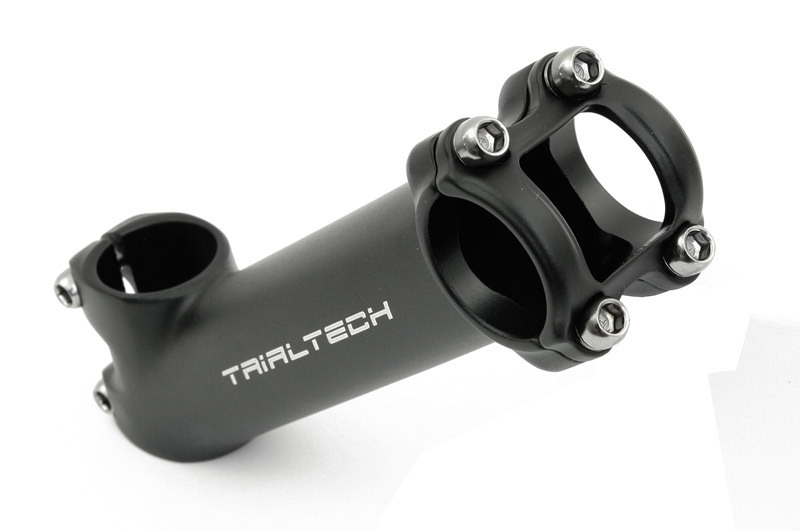 You are here: Home » Steering » Stems » Race 20"
The Trialtech Race 20” stem offers dependable strength and performance benefits and excellent value for money. With a 165mm length combined with a 35° rise, the Race 20” stem helps to improve bunnhyhops and pedal-ups, but also helps to improve bike control while rolling down obstacles. Designed for use with over sized 31.8mm handlebars, the Race stem allows you to create a stiff, strong and light steering setup. The combination of forged and welded 6061 aluminium gives an excellent balance of great strength but also low over all weight (just 240g). The rear steerer clamp features rounded edges to help prevent knee injuries, while M6 bolts on both steerer and handlebar clamps offer excellent strength and reliability. 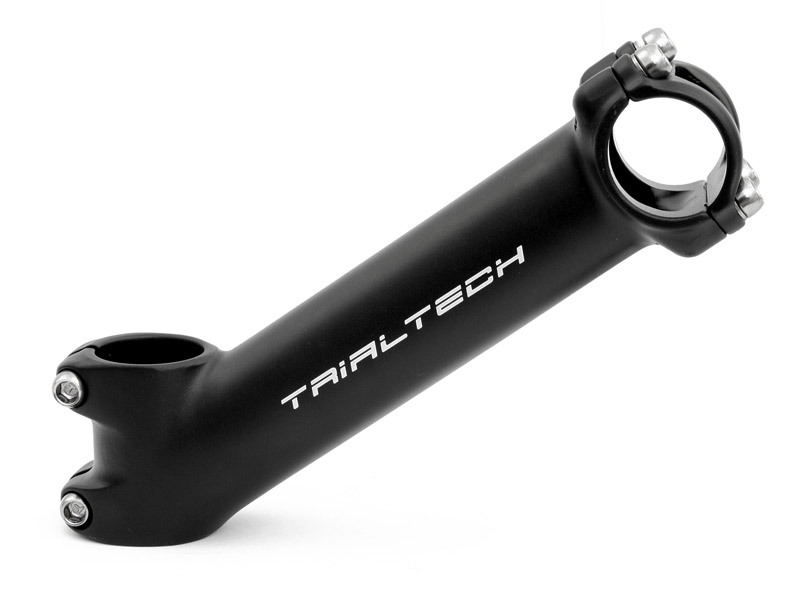 The Race 20” stem is finished in tough matt black anodising and features stylish laser etched Trialtech logos on both sides. Customer rating: 5/5.